Fog classified as ‘Patchy Drizzle‘ this early-evening Monday on California’s north coast — a gray-chilly Memorial Day. In Trump’s White House, aides serve a president who demands absolute loyalty — but who doesn’t always offer it in return. Trump prefers a management style in which even compliments can come laced with a bite, and where enduring snubs and belittling jokes, even in public, is part of the job. During his first in-person meeting with French President Emmanuel Macron, Trump’s typically aggressive greeting became a duel of one-upmanship as the two men clenched their jaws and tightened their faces during an intense, white-knuckled handshake. Macron, France’s newly elected 39-year-old leader, later said he wanted to show Trump that he would not be pushed around or demeaned. “I don’t believe in diplomacy by public abuse,” he said. “And while we cannot know the extent of your pain, what we do know is that our gratitude to them and to you is boundless and undying,” Trump said to the Gold Star families. During last year’s presidential campaign, he notably engaged in a dispute with Capt. Humayun Khan’s Gold Star parents, who spoke out against Trump in a Democratic National Convention speech. 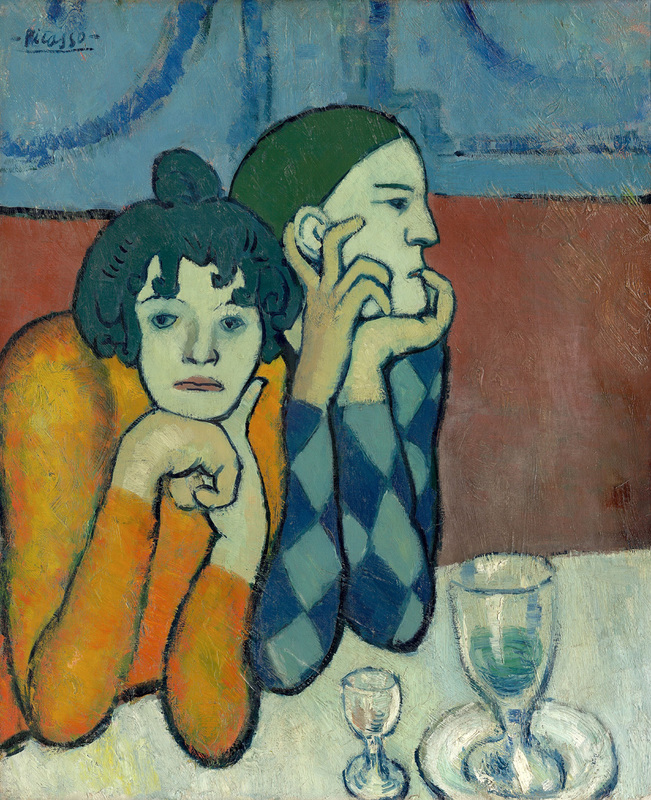 (Illustration above: Pablo Picasso’s ‘The Two Saltimbanques,’ found here).